Flat roofs are most commonly found on commercial and industrial buildings, with traditional materials like asphalt shingles being used more often in residential applications. Each roofing material and slope design has its benefits and drawbacks, but flat roofs are more popular by far when it comes to commercial buildings. All roofs require maintenance, but maintaining a flat roof poses some unique challenges, especially in certain climates: although flat roofs are not actually completely flat, they don’t drain water as well as roofs with higher slopes. In wetter climates, this can easily be an issue; frequent rain exposure is a common cause of roof failure, and water damage can be especially prevalent in flat roofing systems since it often goes unnoticed until more significant deterioration has occurred. Water damage can even reduce air quality inside the building as mold spores leak in. Roof maintenance is a fact of life, but there are options when it comes to flat roof repair and roof replacement. 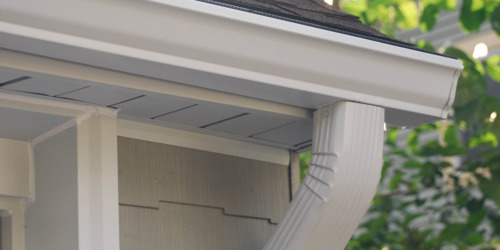 Silicone coating has emerged recently as one of the best options for treating a failing roof. Far quicker and easier than most repair or replacement jobs, silicone coating only requires power washing the surface of the roof, applying a primer if necessary, then spraying the coating on the surface. As the coating ages, new coats can simply be applied over the old ones, extending the life of the roof even further. A roofing contractor Lafayette LA can complete a silicone coating job with more skill, efficiency, and safety than is possible with a DIY job. 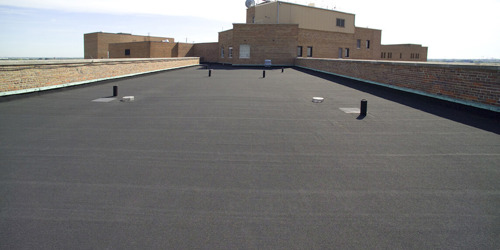 Silicone coatings are especially good for commercial and industrial flat roofs; roof repair and replacement on these large buildings can be very costly and time-consuming, so any method that reduces the cost of labor and materials should be considered. 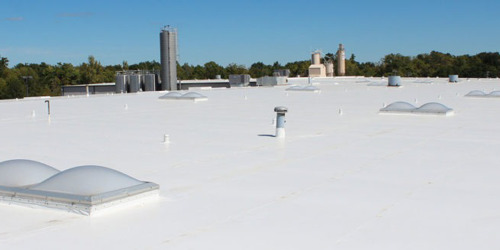 Plus, silicone coatings excel at protecting the roof from the elements, including UV damage and ponding water, which makes the bottom line even more attractive to a business owner in need of roof repair. If you’re in need of commercial roofing Lafayette LA to repair a flat roof, consider silicone coating. The investment will be worth it when the roof’s renewed longevity and durability is factored in.